It’s back to school time for students and teachers! We remember when the new academic year began after Labor Day in September, and now it’s earlier in August! 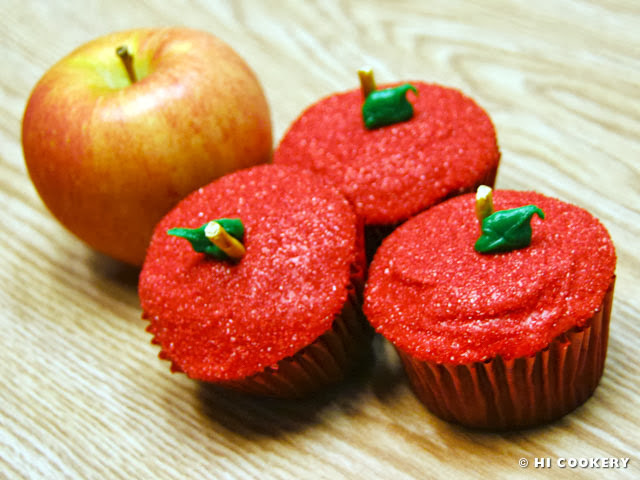 Bake a back-to-school treat—apple nut and spice cupcakes–during National Apple Week, which coincides with preparations for going back to the classroom. Apples are symbolic of education, perhaps because they were the fabled forbidden fruit from the tree of knowledge in the Garden of Eden. Students stereotypically give an apple to their teachers as an appreciation gift. 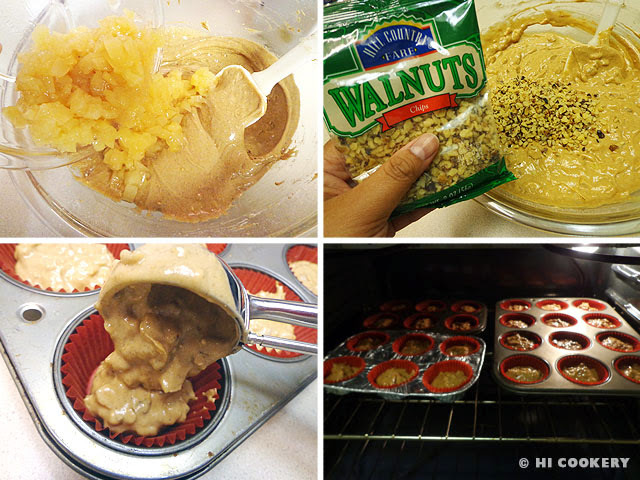 But (if allowed) why not give the whole class apple nut and spice cupcakes as a sweet start to a successful school year? 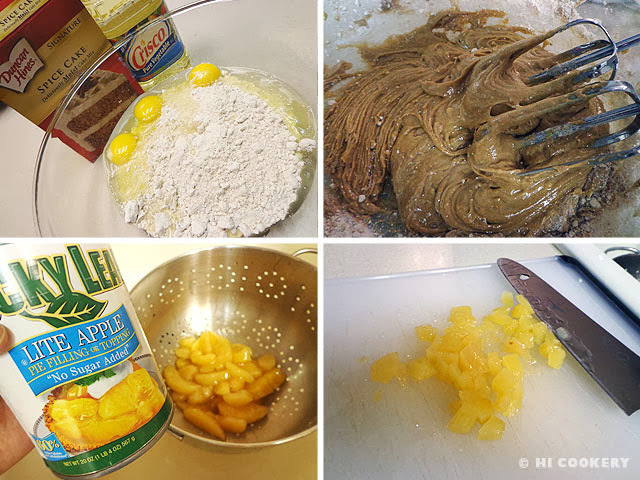 In a large mixing bowl, combine the spice cake mix, eggs and vegetable oil. Blend until thick and moistened. Drain and chop the apples in the canned pie filling. Add the chopped apple pie filling and walnuts to the batter. Mix well. Scoop into muffin tins lined with red cupcake papers. Bake in a preheated oven a 350 degrees F for 25-30 minutes, testing with a toothpick for doneness. Remove from the oven and cool completely on wire racks before frosting and decorating. Yield: 2 dozen cupcakes. In a mixing bowl, beat the cream cheese and butter together until smooth. 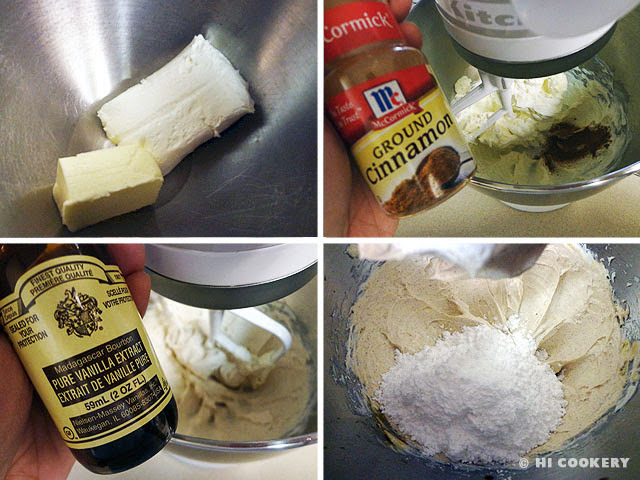 Add the ground cinnamon and vanilla. Gradually add the powdered sugar, one cup at a time, and mix until smooth. Thin with liquid, one tablespoon at a time, to achieve the desired spreadable consistency. Tint with red food coloring and blend well. Frost the tops of the cooled apple nut and spice cupcakes. Refrigerate for 30 minutes to set the frosting. 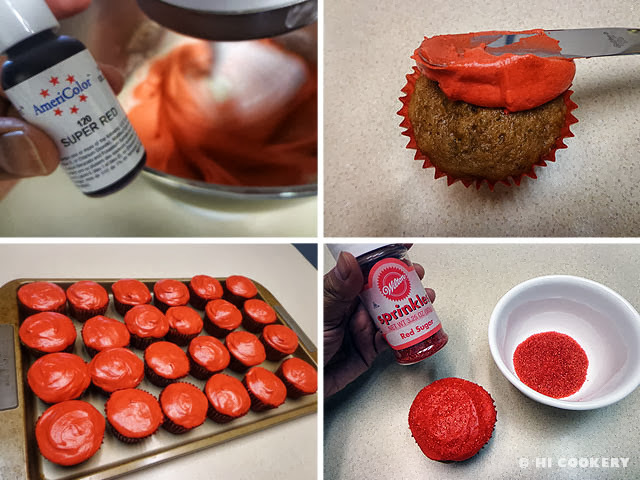 Dip the tops of the cupcakes in red sanding sugar. 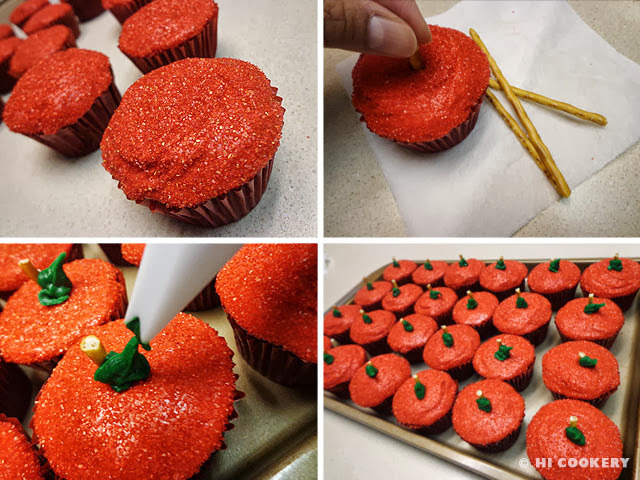 Break pieces of the pretzel sticks and insert in the center of the cupcakes to make the apple stem. Use a small leaf tip and squeeze out green frosting from the tube to make the apple leaf. Return to the refrigerator. Bring to room temperature before serving. The U.S. Apple Association founded National Apple Week in 1904 but expanded the celebration into National Apple Months—September, October and November! Search our blog for more apple recipes.